Being a business owner comes with many responsibilities. Along with balancing your finances, staying on top of inventory and sales, promoting advertising campaigns, and much more, you also have a responsibility to your employees. That responsibility consists of a variety of things, like being a fair and approachable employer and having their best interest in mind with things like pay rate, job placement, advancement opportunities, and benefits. Doing so will not only benefit them, but it will also benefit your company in the long run. Keeping your employees happy can save your business both time and money. Between the cost of advertising a position on job boards, interviewing, and training, the on-boarding process has the potential to cost your company a pretty penny, which adds up quickly when you have a high turnover rate. As a business owner, looking after your investments is a important factor in your continued success. Hiring a new employee is an investment, and should be treated as such. Remember, your employees are the face and backbone of your business. If they are happy in their position, they will be more likely to approach their day and your clients with a pleasant and enthusiastic attitude. That will in turn keep your clients satisfied with the service provided, and keep them coming back. So, what can you do to keep your employees happy and feeling appreciated? With the Labor Day holiday approaching, maybe this would be the right opportunity to take some time to celebrate them. There are several ways to make a difference in your employee’s lives over the holiday, so have a look at what option below could work for your business. If you are in a position to add extra savings on product purchases for your employees, that may be a nice gesture. This may not work for all industries, but if you own a business in retail, a nice discount can be the perfect way to show your appreciation for employee dedication and hard work. If money is an issue and your business requires extra capital to celebrate the holiday or to get your business through the end of summer rush, consider the option business funding could provide. You can use the funds you receive for anything, including ordering inventory, advertising, or even introducing a new way to show your employees how much you appreciate their hard work. Putting together a party to celebrate the holiday, as well as your employees, is a fun idea that everyone can enjoy. Maybe you have the space to have the party catered. Amazing food, holiday themed drinks, and the option to invite family and friends has all the makings of a great day. It not only promotes mingling between team members, but also gives them the chance to show who they are outside of work. Getting to know your employees on a personal level is a perk to owning a small business, whereas if you owned a large corporation getting to know many of them at all is quite difficult. Do you have access to tickets for a sporting event? If you have the means, why not purchase tickets for the whole company? Planning an exciting day to let down your hair, forget about the workplace and just have fun with co-workers is a wonderful way to celebrate your employees this Labor Day. Maybe you could even reserve box seating so that you can provide the food and drinks as well. It’s a way to promote happy and healthy relationships at work, and who doesn’t like a day at the ballpark? 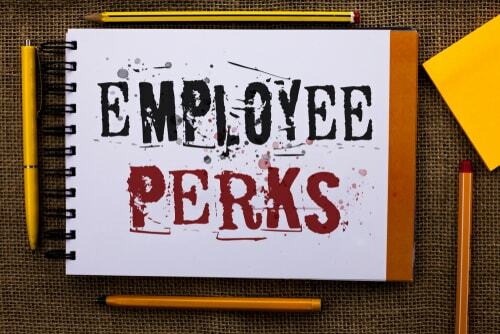 If your business requires you to remain open for the holiday, then you might want to thank your employees for their dedication by adding a nice little bonus in their pay for being a such good team players. Just think of how grateful they will be when they realize what you have done. No one likes to work on a holiday, but if you are making a few extra dollars, you may dislike it a little less. 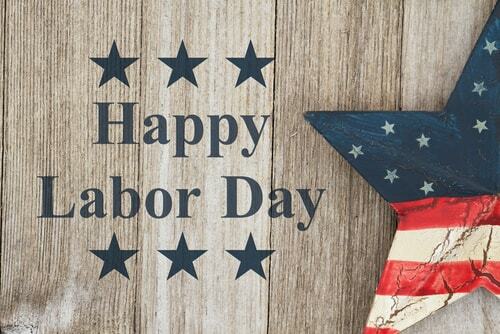 Many businesses offer a paid holiday for Labor Day, so if you already have that one covered, then good for you. If have not done this in the past, it is never too late to start. Your employees will be thankful that they have not lost a day’s wage due to holiday closure. There are all types of employees, and you may have one or more that are struggling financially. Imagine what a difference being paid for the holiday will make.